Solán de Cabras relaunches its pink bottle to demonstrate its commitment to women affected by breast cancer. The brand will donate 20,000 of personalised psychological support to patients and their families through the toll-free telephone line of the Spanish Cancer Association. In addition, it will help raise the visibility of the personal experience of women who suffer from this disease. More and more people, institutions and companies are joining forces in the fight against cancer. This demonstrates society’s commitment and awareness at all levels for conquering this disease and showing solidarity with people who suffer from it. It is a field in which Solán de Cabras has been a pioneering brand thanks to its collaboration with the Spanish Cancer Association through successful initiatives such as the pink-coloured bottle. The “‘Special Reserve’ of Mineral Waters” once again dresses up, for the third consecutive year, in this colour, which gives visibility to the daily struggle of thousands of people against this disease. As on previous occasions, the bottle is the visible symbol of a much deeper and longer-term commitment, which the brand has entered into with the Spanish Cancer Association to support both patients and their family members. To achieve this, Solán de Cabras will participate this year by donating 20,000 minutes of psychological support through the dedicated telephone line of the AECC, a service the brand has collaborated with actively in recent years. To date, the donation of Solán de Cabras to this service has made it possible to take over 3,000 telephone calls. “Our commitment to people suffering from this disease, to the Spanish Cancer Association and to consumers is total”, states Jesús Núñez, Managing Director of the Water and Soft Drinks business unit at Mahou San Miguel and the top representative of Solán de Cabras. “In previous editions, the launch of our special edition has been so successful that many people were unable to get their hands on a bottle. So, this year, we’ve decided to maintain and even strengthen the campaign, so that everyone who wants one can get it”. For her part, Noema Paniagua, Managing Director of the AECC, stressed that “the Spanish Cancer Association has been a pioneer in oncological care and has been providing this free service since the 1980s. We are aware of the enormous impact a cancer diagnosis can have and that professional psychological attention to the patient and to the family is absolutely necessary from the first moment and over the entire disease process”. The launch of this new bottle was done under the slogan “Gotas de Solidaridad” [Drops of Solidarity], a concept we use to make consumers participants in our commitment to this initiative and to raise the visibility of all of the people who collaborate in the fight against cancer. One of the new features this year, in fact, is recognition of the importance of psychological support for overcoming the disease. The brand has used its social media channels to give a voice to Arantxa, Ana Belén and Marisa, three women who managed to overcome the disease thanks to the support of their families and of the volunteers at the AECC’s psychological help line. Solán de Cabras recorded their stories in a video in which each of them tells about her personal experience and expresses gratitude for the support she received throughout the process. Their testimonials will be available soon on the brand’s digital channels. Lastly, so that everyone can share this commitment, Solán de Cabras laid the groundwork for giving visibility to this initiative on social media. The brand’s Twitter account (@Solan_de_Cabras) has been used to energise the conversation under the hashtag #GotasdeSolidaridad to allow users of this social media to collaborate in the campaign. For each tweet that mentions the hashtag, the brand will donate an extra minute to the AECC’s psychological help line, up to a maximum of 4,000 minutes. In this way, Solán de Cabras has increased its support to this stream of solidarity by 25%. The AECC’s psychological support programme is totally free of charge and constitutes a great help for people diagnosed with cancer. The service is oriented towards answering questions and assisting people with the problems that arise from the moment someone is diagnosed, over the long course of the disease, and during treatment. And, it works on controlling stress and techniques for confronting this type of situation. 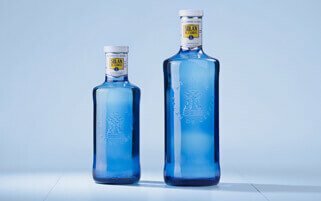 Solán de Cabras, recognised since the eighteenth century as a Medicinal Mineral Water and, in 1790, declared as a Water of Public Interest, and steadfast in its concern for healthy lifestyle habits, has collaborated with numerous initiatives like this one since its beginnings. 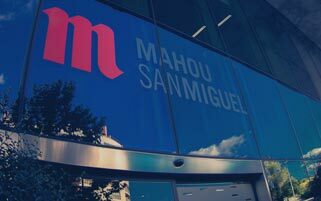 In addition to this action by Solán de Cabras aimed at the consumer, the Mahou San Miguel company carries out a series of actions to raise awareness aimed at its 2,800 employees to help them integrate physical exercise and healthy lifestyle habits into their daily life. The brand has created, in collaboration with the Health and Well-being department of Mahou San Miguel, the Solán Women’s Running Team, a runners’ club, which not only offers tips on integrating exercise into daily life but also provides information on improving the prevention of numerous diseases, including cancer. The AECC, a private NPO (non-profit organisation) declared to be in the public interest, has been working on the fight against cancer for 60 years. The AECC is made up of patients, family members, volunteers and professionals who work together on prevention, awareness, accompanying those affected and raising funds for oncological research projects aimed at improving cancer diagnosis and treatment. The AECC maintains quality oncological research as one of its priority goals and is, today, the social and private institution that provides the most funds, €28 million since 2009, for cancer research. Structured in 52 provincial boards and with over 2,000 offices throughout Spain, the AECC carries out its work through its more than 15,000 volunteers and 680 employees under a philosophy of collaboration with health care authorities, scientific institutions and other entities that pursue goals parallel to those of the association. Always under the principles of independence, professionalism, transparency and proximity.